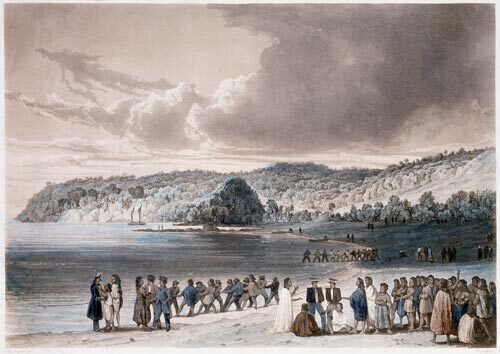 This 1835 painting shows groups of French sailors fishing with Māori assistance on beach at Kororāreka (later Russell) in the Bay of Islands. A group of Māori appear to be in negotiations with French in the foreground. Both Māori and Pākehā played key roles as interpreters when trading with each other.